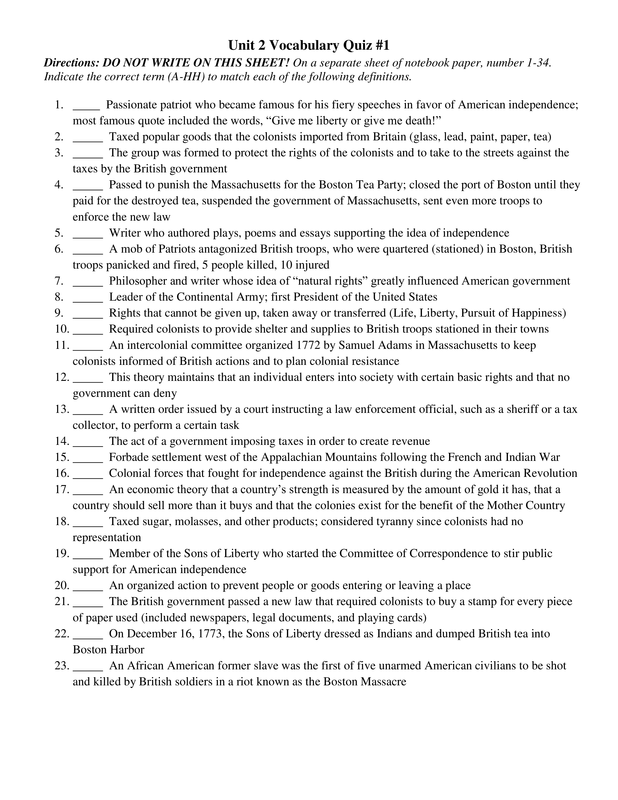 Punishment for Boston Tea Party? A Mob of Patriots in Boston antagonized British troops causing them topanic and fire, killing 5 people is known as the Boston Massacre. Required Colonists to provide shelter (housing) to British troops. A written order use to enter colonist homes searching for smuggled goods. A blockade is an action taken to prevent people and/or goods from entering or leaving a certain place. A new law passed requiring colonists to buy a stamp for every piece of paper used was known as the Navigation Act.